I've been a long term fan of Nu Skin for at least two years now and at Christmas they kindly sent me their hair care range to try out. I have well and truly given these products a fair run and can say that they are honestly now my go to hair products. I have natural curly and very frizzy hair, I also recently went blonde which of course can be very damaging. The Renu hair mask has been a godsend since I went blonde and when I feel like my hair is looking dry or lifeless I simply pop the hair mask onto dry hair and leave it in for as long as I feel necessary depending the condition of my hair. I then go ahead and jump into the shower to use the Clarifying shampoo and the Rich conditioner. Again because I have naturally curly and dry hair I'm a sucker for a good conditioner and this one is the best I've ever used, it makes my hair feel crazy soft and gives my dry ends the love and care that they need! 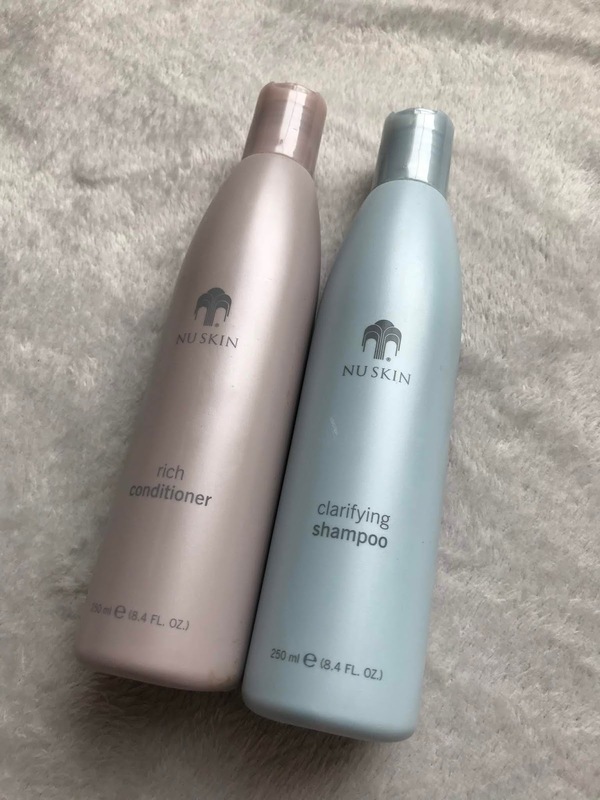 You can find the full range of haircare by Nu Skin here and a full list of their products here.